The most common method many professional locksmith technicians and unfortunately burglars use in order to defeat pin and tumbler type locks called lock bumping. The method consist of using a special cut key and a specific technique in order to unlock a lock without damaging it. The special cut key also known as “bump key” can most of the time successfully defeat the lock it was used to hack. Nowadays, a bump key is accessible and available for almost anyone who is looking for one which include burglars as well. That is why many lock systems manufacturers such as Kwikset for example has developed high security locks that can withstand bump keying. A good example is the 980 Deadbolt that comes with smart-key features and bump-guard technology. It was also rated as ANSI Grade 1 lock which backs its reliability and durability claims. With its unique locking design of a side locking bar, bump keying it would be impossible. National statistics has shown that at least 70% of all home break-ins recorded around the country are done without any signs of forced entry. Although it is hard to determine the cause of a breaking an entry without any signs of force, it is safe to say that 99% of the times it was done using bump-keying. Aside from going with bump proof high security locks, there are other things that can be done in order to secure and protect your home such as improved exterior lighting, alarm systems, and more. 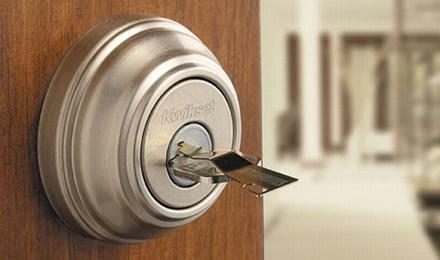 For more information about smart-key locks, contact NorthWest Locksmith Reno (775) 276-5673. This entry was posted in Locksmith Tips and tagged bump key, deadbolt, key, kwikset, lock, locksmith, locksmith reno, reno, reno locksmith. Bookmark the permalink.